Since 1934, Kee Safety Ltd has been dedicated to providing the world with a versatile, economical, and durable method of building tubular structures. KEE KLAMP tubular fittings are available in more countries, more styles, more sizes, and more colours than any other brand of tubular fitting. The answer is KEE KLAMP fittings. The underlying principle is simple but highly effective: use slip-on components to create versatile and rigit tubular structures. 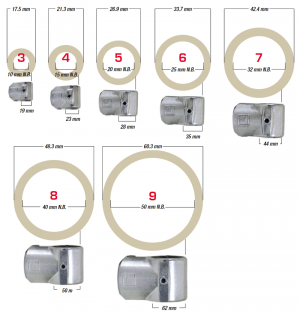 We have expanded our KEE KLAMP fittings range and introduced 12 new fittings. The new KEE KLAMP fittings have been designed for installation on steeper gradients, they offer builders and specifiers an aesthetically pleasing option. 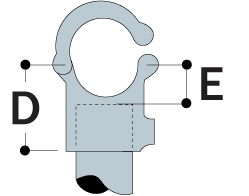 Example: (1) A 10-7 is a Type 10 KEE KLAMP Component with both sockets designed to accept a tube that has an outside diameter of 42.4mm or 1 11/16" (1 1/4" Nominal tube Size). 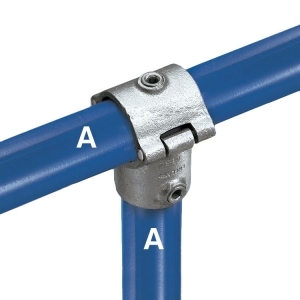 (2) A 25-9 is a Type 25 KEE KLAMP Component with all three sockets designed to accept a tube that has an outside diameter of 60.9mm or 2 3/8" (2" N.P.S.). 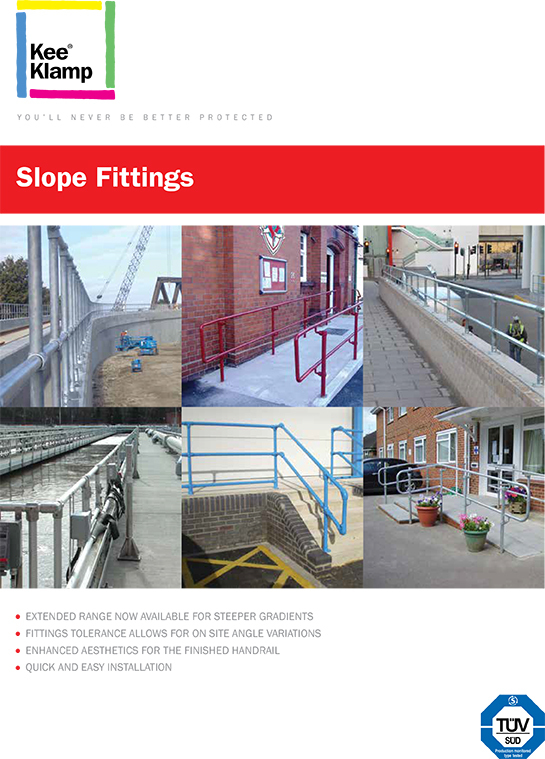 Designed to allow additions or extensions to existing structures without the need for dismantling. Tube must not be joined within the fitting. Fitting has strength and function comparable to Type 10 components.